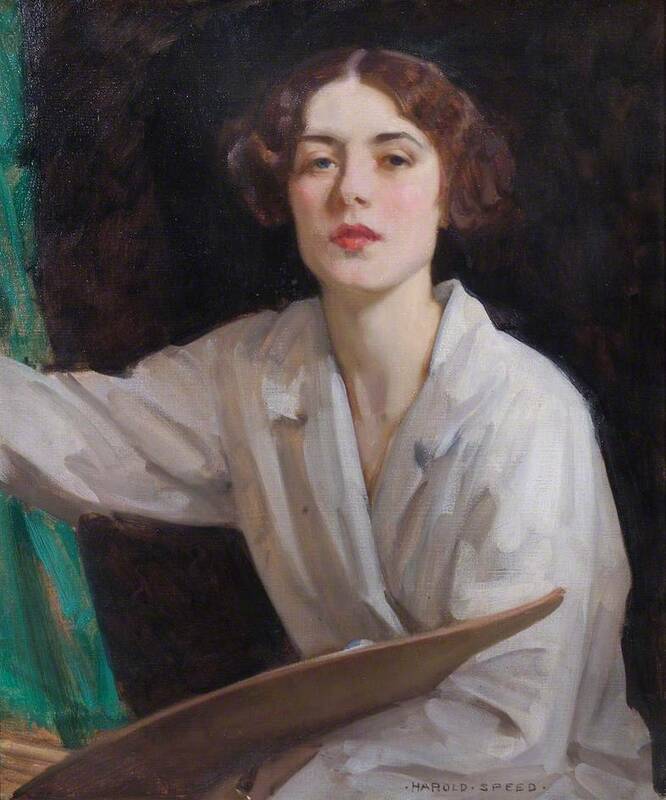 For the GJ Book Club, let's consider the concluding chapter in Harold Speed's 1917 classic The Practice and Science of Drawing, and reflect back on the book as a whole. Lady Diana Bridgeman, Harold Speed (British, 1852-1957). Speed begins this final chapter talking about the camera, and the merits and dangers of mechanical accuracy. This is an issue that hasn't gone away, and that people in our community still discuss today. I'll put Speed's quotes in boldface, followed by my thoughts. 1. There may be times when the camera can be of use to artists, but only to those who are thoroughly competent to do without it. Speed suggests that truth achieved by mechanical accuracy may be a valuable stepping stone toward true art, but we should use a standard other than accuracy alone to measure our response to art. Art is not merely a collection of objective facts, but rather "records of a living individual consciousness." Whether one traces a photo or some other procedure to achieve mechanical accuracy, one must not lose sight of the driving emotion that guides the choice and placement of elements, and that shapes the rhythms of the artistic statement. 2. The training of his eye and hand to the most painstaking accuracy of observation and record must be the student's aim for many years. Despite his caution to see beyond mechanical accuracy, Speed argues that accurate drawing is an absolute prerequisite to the kind of evolved subjective vision he advocates. Students must strive for unflinching honesty or sincerity. Seeking originality for its own sake is a trap, leaving the young artist chasing the fashions of the moment, or contenting himself or herself with an easy substitute for the fine craftsmanship that is more difficult to attain. 3. Individual style will come to you naturally as you become more conscious of what it is you wish to express. Speed argues that young artists should be wary of adopting readymade techniques or design conventions borrowed from other artists. More often than not, those outward stylistic gimmicks don't fit the subject you're painting nor the mood you're trying to evoke. Everything must begin with an artist's idea, and style is simply the most direct means to communicate that idea. I wish an editor had suggested that Speed delete this appendix—or save it for another book, because I think it contradicts Speed's entire argument leading up to it. After decrying readymade compositional formulas, he proceeds to introduce a readymade mathematical formula for design. It strikes me as an afterthought alien to the rest of Speed's argument. Longtime blog readers know where I stand about via the Golden Ratio (also known as "phi"). You can read my thoughts in my blog series "Mythbusting the Golden Mean" or, if you like, another website called "The Myth of the Golden Ratio." Looking back on the book as a whole, I'm struck with how much this book is about aesthetics. When I first encountered the book as an art student, I was primarily interested in materials, methods, and techniques but what I take away from the book at this stage in my life is the importance that Speed rightly places on the thinking, feeling, and intention behind the technique. I have newly marked up my print copy with pencil notations in the margins, and I have been inspired by the many fresh perspectives that you as blog readers have brought to each chapter to deepen my appreciation of Speed's book. For those who discover this book club weeks or months later, please feel free to add your comments. 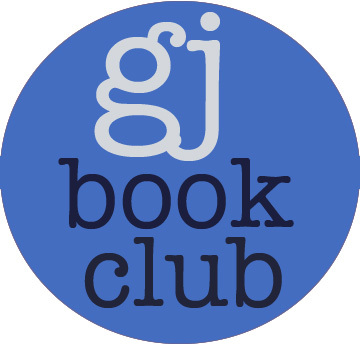 I'll be able to review it and publish your comments any time, and keep this book club constantly in session. The next book for the GJ book club will be Speed's book on painting, the sequel to this one on drawing. 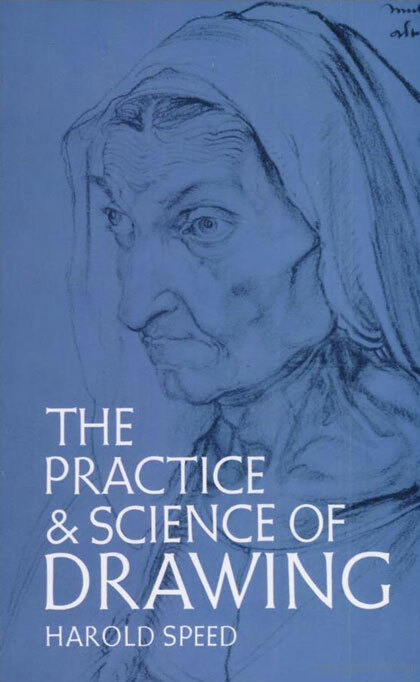 In its original edition, it's called "The Science and Practice of Oil Painting ." 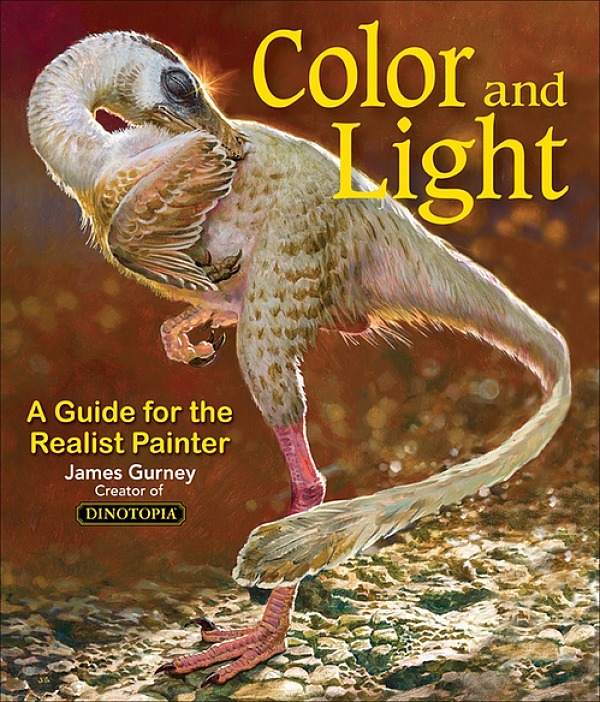 Unfortunately it's not available in a free edition that I know of, but there's an inexpensive print edition that Dover publishes under a different title "Oil Painting Techniques and Materials ." We'll start up with that book in three weeks, on September 18, which gives you time to pick up a copy. 2. Fully illustrated and formatted for Kindle. 3. Free online Archive.org edition. Articles on Harold Speed in the Studio Magazine The Studio, Volume 15, "The Work of Harold Speed" by A. L. Baldry. (XV. No. 69. — December, 1898.) page 151. Blog post by Paul Foxton about Top-Down (Rembrand) and Bottom-Up (Turner) approaches. Thanks James. I loved the first book, and looking forward to the next! Thanks for keeping this up. I've had Speed's books for years, but this has made me think about this book to a depth I had not been able to do previously. Looking forward to the next. Thank you. 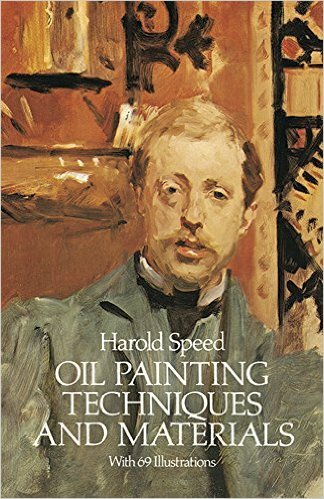 Looking forward to reopening Harold Speeds Oil Painting book with the Book Club! It is the first art book I read about 4 years ago and he covered concepts that I grappled with success little success. 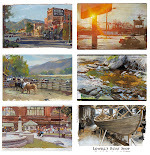 The concepts that I did successfully grasp, however, were like peeling back the layers of onion of my brain to a deeper, clearer understanding of visual art intention and technical approach. I'll be reading The Man with the Easel of Horn until then. Thank you James for doing this. I did not comment, (until now) but enjoyed each and every post. Your insights made me really think about a lot of old preconceptions, and newer ways of thinking about these subjects. cannot believe 20 weeks passed. But the next book is really good ,too. Thanks for your thoughts. Thanks James (and everyone else who's commented on the various chapters and other comments)! With all the other things you're involved with I'm not sure how you keep this up week in and week out. Impressive to say the least. Out of curiosity, have you ever posted anything about how you manage to keep so many projects in the air? One of the challenges I face is time, energy and emotional management with a full time job, family and intense desire to get back into painting and drawing. It's been a bit of a roller-coaster ride, which is pretty much how life goes for most everyone, but wondering if there are things you've learned along the way that help with either your creative focus when you're being pulled in so many different directions (assuming you are or have been). Thank you, that was great fun to re-read Speed and hear all of the thoughts. Amazing how every time I pick up this book I get something new out of it, and this Book Club reading revealed even more. In a previous incarnation as an English Lit instructor I spent a lot of time trying to help undergrads learn how to think and speak critically about what they read. And currently as an online academic librarian, I often find myself doing similar how-to-think-critically instruction with grad students as well as undergrads. You do such a super job of demonstrating this! I like how you are able to articulate what the author (or artist) is saying/doing and then follow up with such a thoughtful and well-reasoned discussion of your own that uses simple, clear examples to demonstrate. I've long loved your work and stories as an artist -- and am totally impressed by your skills as a communicator! Thanks for your continuing efforts on all fronts. Just ordered the next book. Looking forward to seeing everyone's thoughts. Hi James, are you still planning on the Friday Book Club using Speed's book on Painting? Hi, Curtis, yes, I'll start it up in November. This is a busy month, and I'm away from the book. I'm looking forward to diving in.